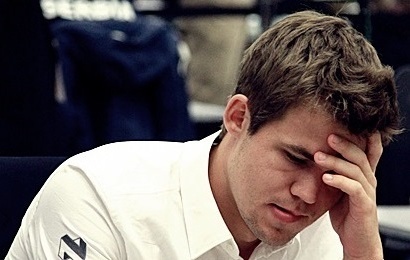 Norway 1 entertained the home fans with a clean 3-1 over Italy, with Magnus Carlsen performing some of his patented minimalist magic to defeat a major rival. GM Kjetil Lie put the Norwegians ahead with the kind of robust aggression typical of his best form on board four, and the teams traded wins on boards two and three. All eyes were fixed on the Caruana-Carlsen clash, where Magnus presumably pulled off an opening surprise by adopting the offbeat variation that he himself had faced as White against Nikola Djukic of Montenegro in round three. Many Olympiad participants were unable to stay away from chess even though it was a rest day. The Arctic experience centre Polaria hosted over 90 players at yesterday’s blitz – and showed off some chess-playing seals!